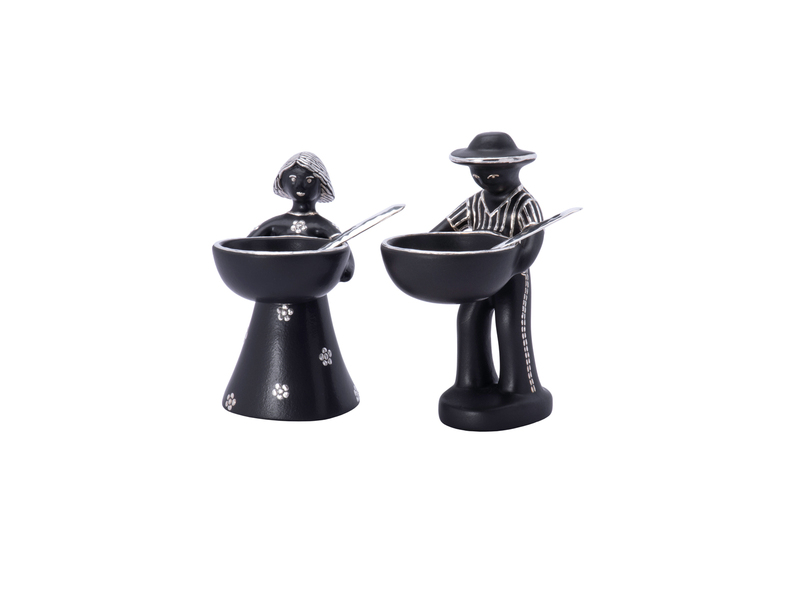 Dog Cat Salt n Pepper Shakers hand crafted by Emilia Castillo. 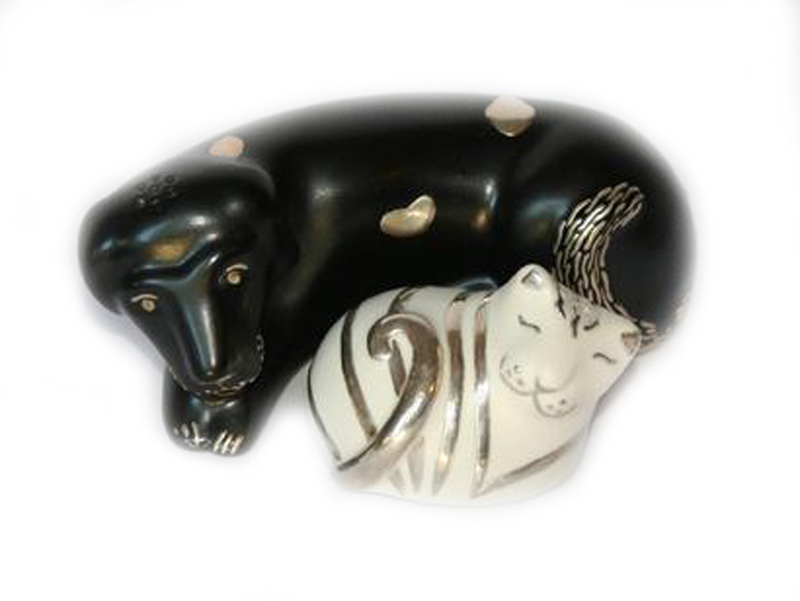 This fabulous pair of salt and pepper shakers are made from ceramic and painted with silver to depict a dog and cat. The dog is 2″ inches high by 4 1/2″ inches long and the cat is 1 1/2″ inches high and 2 1/2″ inches long. 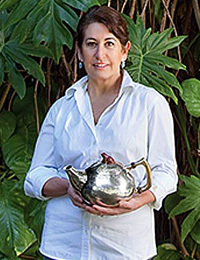 Daughter of the famous Mexican silversmith, Antonio Castillo, home décor and jewelry designer Emilia Castillo has a following and reputation that spans the globe. 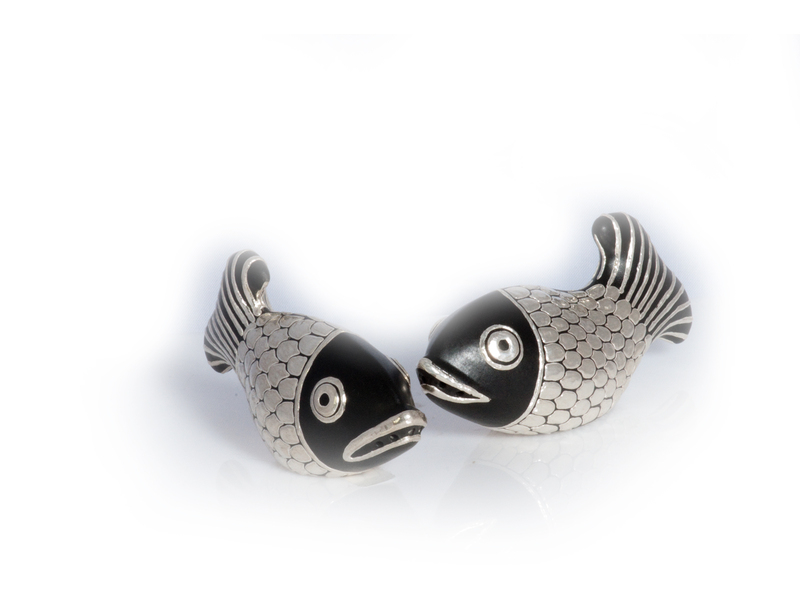 As a child growing up in Taxco, Mexico, master silversmiths in her family’s legendary workshop surrounded Emilia. She has since developed a patented technique of fusing pure silver to porcelain, a beautiful and unique result that is a signature of her pieces. All of Emilia’s pieces are made of natural materials such as lapis lazuli, jasper, turquoise, malachite, onyx, porcelain and silver. 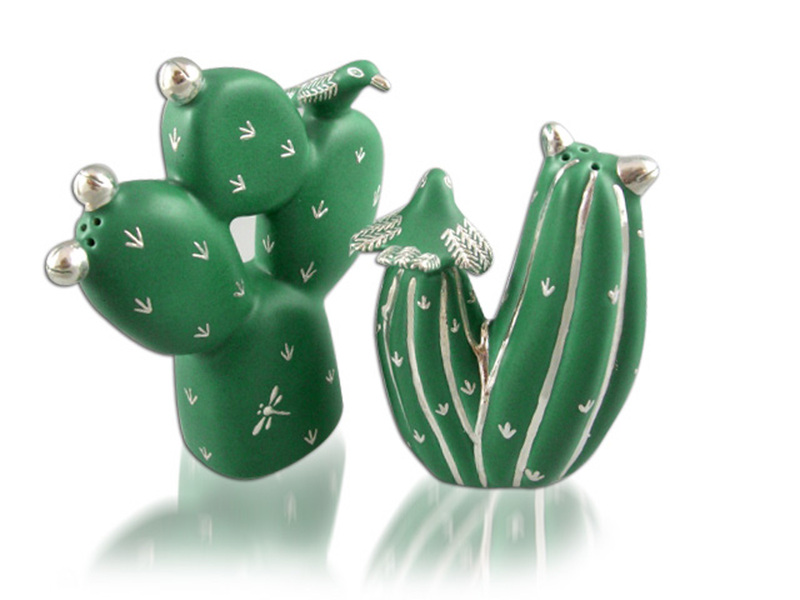 Her designs are hand-crafted in the workshop at her ranch in Taxco.